Our fighting combat fitness 'Young Warriors' Programme ages 5-11yrs. Beginner, intermediate or advanced -- we support you every step of the way. Reach your health & fitness goals with a specialised personal training programme from FCF. 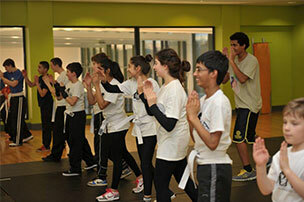 Learn about our confidence building self-defence programmes for kids/juniors and teens. Find out more about our classes for ladies of all levels and start your journey with FCF. Here you'll find details of our membership options for adults, ladies and juniors. Our Women Only Martial Arts & Fitness classes are becoming the hottest trend and offer females the opportunity to learn fighting skills and get extremely fit all at the same time within the same class. 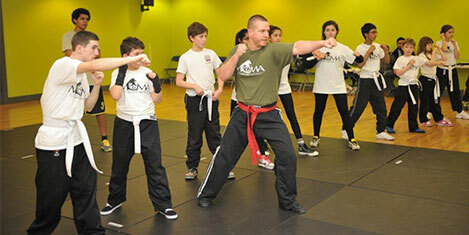 We offer Modern Combat Martial Arts for Adults – Men & Women, children & teenagers. – Krav Maga, Boxing, Kick Boxing / Thai Boxing, Brazilian Jiu Jitsu, and also Box – Fit (Boxing Fitness – without the contact) for those looking for something different, fun, exciting. Burn 700+ calories in most of our classes. Surely that’s enough to make you motivated to train? Once you are a member of the team we will support you with text email and phone communication to keep your motivation, fitness and nutrition on track. There are different classes and options available for individual or package bookings. Call us now to find out more about our ladies only fitness classes. 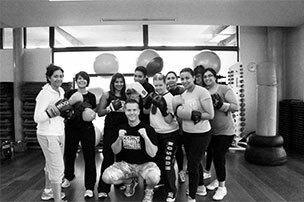 Our classes utilize real Boxing techniques and conditioning exercises for all levels to achieve their fitness goals. 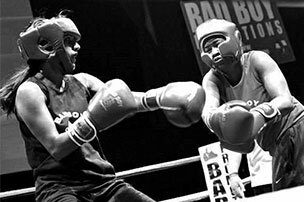 Boxing training focuses on upper body movement and hand combinations along with specific footwork once you improve your skills and fitness levels. The Kick Boxing element introduces the legs and feet for striking also along with your hands, which can often be even more challenging and giving you even more skills to work towards improving. The Thai Boxing style is the most physically demanding of these striking disciplines as it utilizes the hands, legs, knees and elbows for striking which is extremely exciting and different for many newcomers to learn and experience. We offer everyone the chance to learn from the very beginning and work their way to become fit and conditioned without having to actually fight in a ring or prove themselves in such a competitive environment. Women wishing to train in a safe, welcoming environment, and learn different modern aspects of fitness and skill to become stronger and leaner using weights, kettle bells and core conditioning exercises, then these classes are for you! Copyright 2019 Fighting Combat Fitness. All rights reserved.